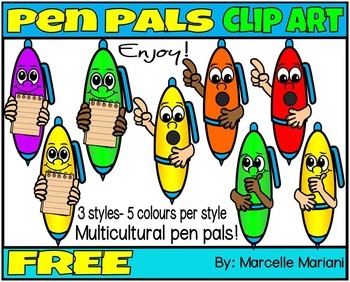 This package consists of 3 STYLES OF PEN CLIP ART that are made into little people pen pal cartoons. 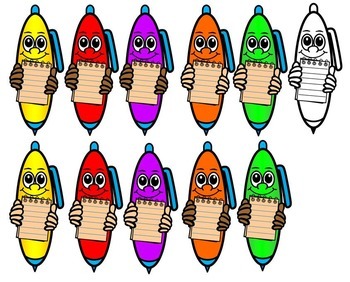 I want to introduce a pen pal program with my KG's this year where we use mailboxes and the kids write to each other so I created these to use on the stationary I am planning to use for this and wanted to share. I hope you can find a use for these little pens as well. 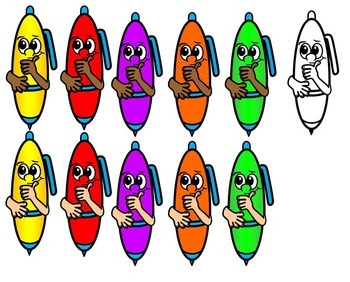 There are 3 styles and each style comes in 5 colours and each colour comes in light skin and dark skin to maintain multiculturalism and diversity. 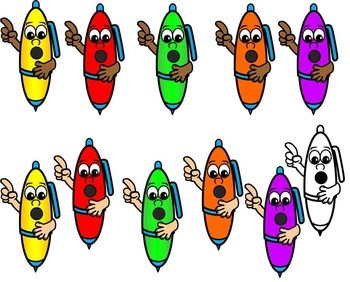 So all together there are 33 pen clip art images in this file. CORRECT LETTER FORMATION ALPHABET TRACING 486 LETTERS! PLEASE TAKE A SECOND TO PIN AND POST TO FACEBOOK SO OTHERS CAN BENEFIT AS WELL. ONE OF THE GREATEST THINGS ABOUT TEACHING IS NETWORKING TO REACH ALL LEARNERS. THANKS!